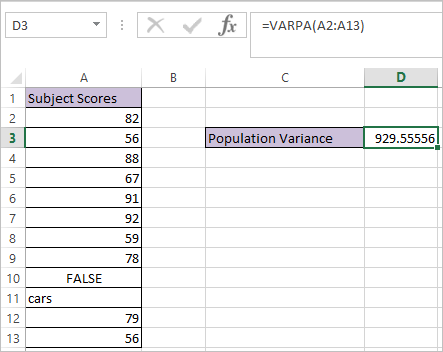 VARPA function in Excel calculates the population variance of a supplied set of values. 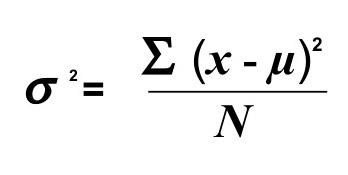 Logical values, within arrays or reference arguments are counted in VARPA Function where FALSE is taken as 0 and TRUE is taken as 1. Empty cells are ignored in VARPA Function.